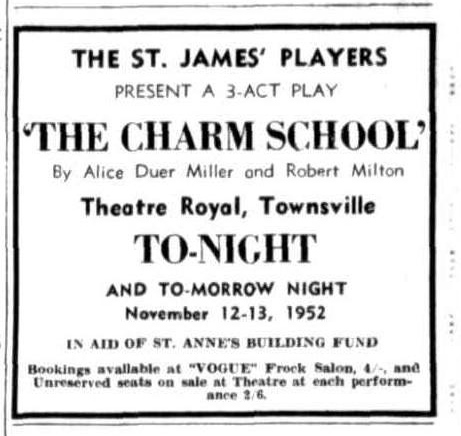 St James Players "The Killer Dies Twice" cast members leaving for Brisbane as zone finalist to compete in the All Queensland Centenary Drama Festival, 1959. The cast and producer of St. James' Players' production "The Killer Dies Twice", photographed as they were about to board their train for Brisbane on Wednesday night. Zonal winners in the Queensland Centenary Drama Festival, they will compete in Brisbane to-morrow night for top honours in the festival. 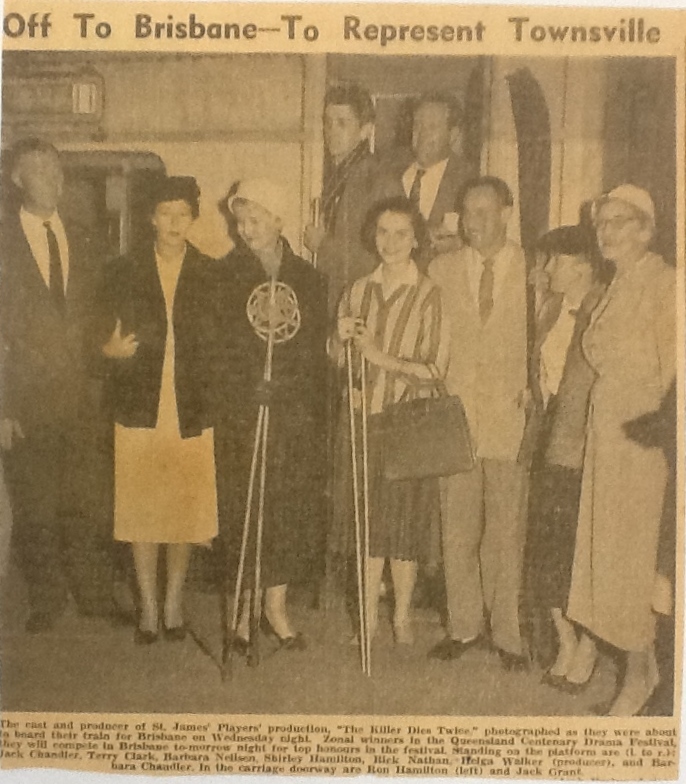 Standing on the platform are (L to R) Jack Chandler, Terry Clarke, Barbara Neilsen, Shirley Hamilton, Rick Nathan, Helga Walker (producer), and Barbara Chandler. In the carriage doorway are Ron Hamilton (left) and Jack Grant.